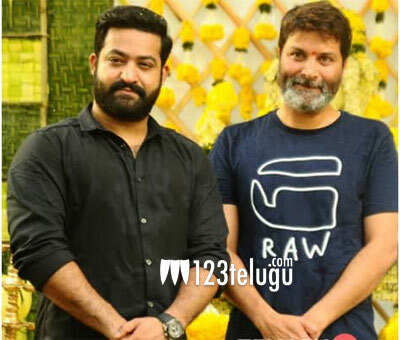 Fans of Young Tiger NTR and Trivikram are eagerly waiting for the star duo’s film to go on floors. The pre-production work for this much-awaited film is nearing completion. S Radhakrishna is going to produce the movie under Haarika & Haassine Creations banner. As per latest reports, this as-yet-untitled movie will commence its shoot from March 23 tentatively. The entire production formalities will be wrapped up by July and the movie may hit the screens for Dasara. The film is said to be a wholesome family entertainer and Trivikram is packaging the script with ample doses of humor. An official announcement regarding the film’s leading lady and music composer will be out soon.